The new Multibeam Led Headlapms system. In the Multibeam Led Headlapms system, the camera-based Adaptive Highbeam Assist Plus provides the information for the illumination. 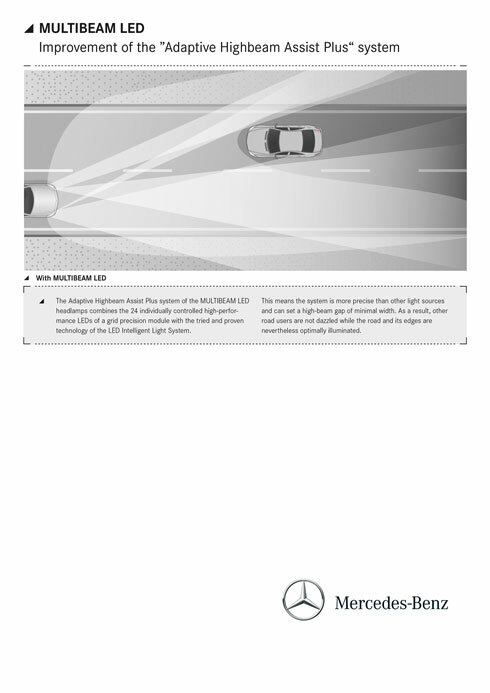 If it detects illuminated oncoming vehicles or vehicles ahead, it drives each of the individual 24 high-performance LEDs in a matrix light source electronically so that individual areas of the road are specifically masked in accordance with the particular situation. The headlamp control function combines the matrix light source with the tried-and-trusted technology of the LED Intelligent Light System, thus increasing the precision of today's matrix light sources and setting up a main beam gap with minimal width. 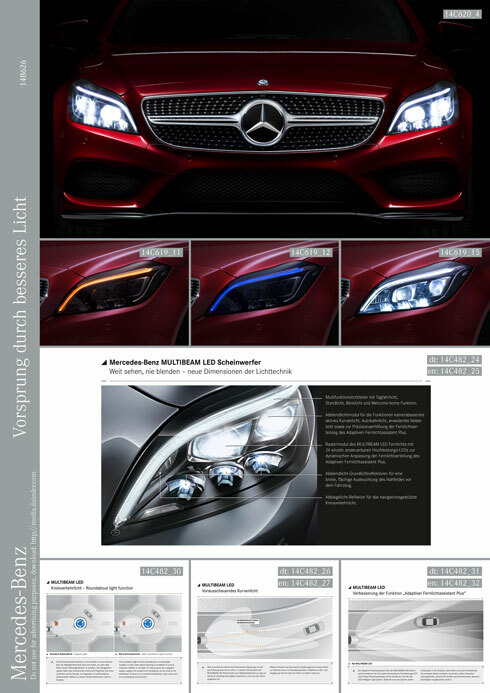 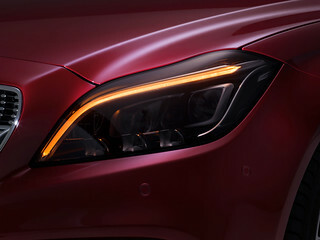 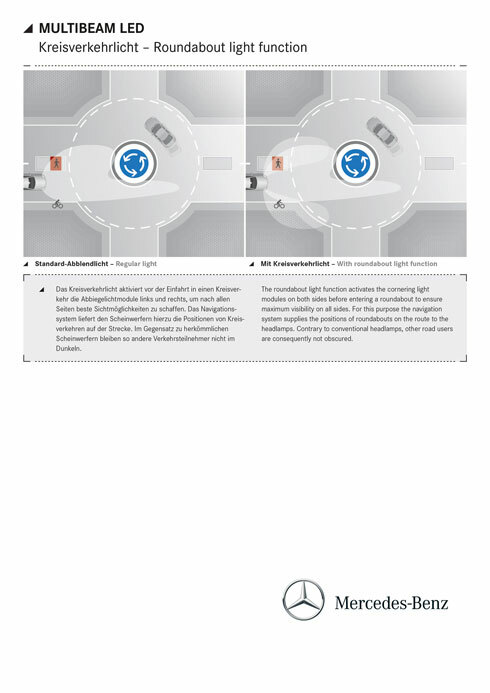 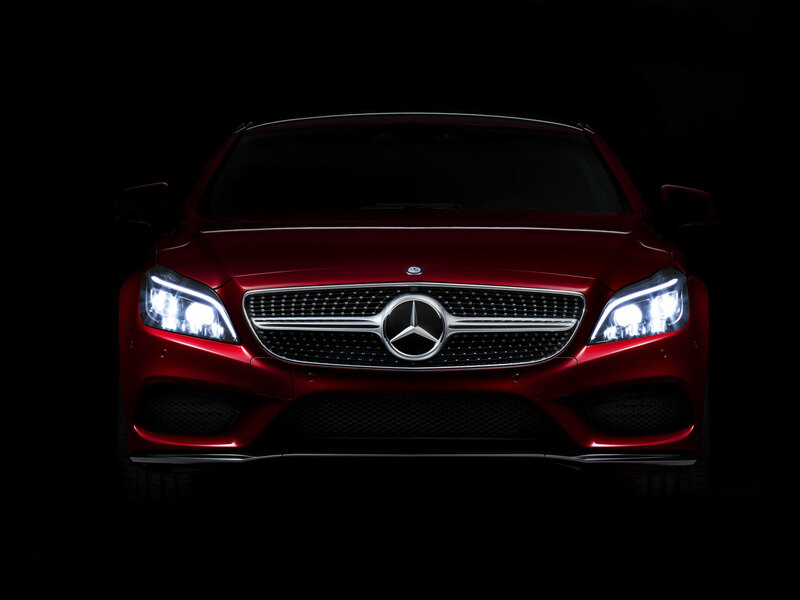 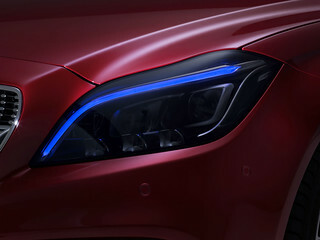 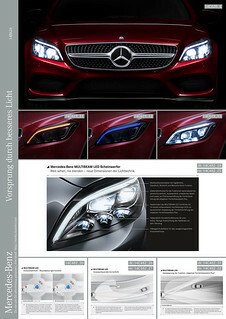 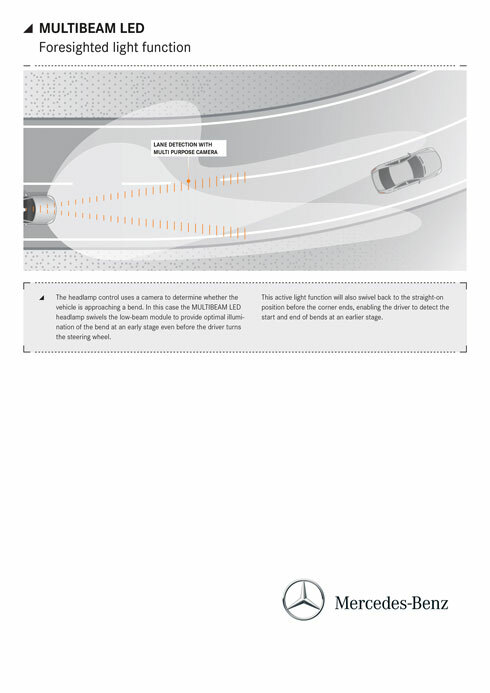 This prevents other drivers from being dazzled, while drivers in the CLS Coupé and in the CLS Shooting Brake always benefit from the best possible – in other words brightest illumination of the road and road verges. 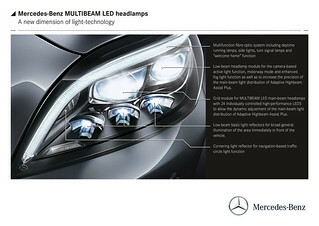 The anti-dazzle main beam can be switched on permanently. 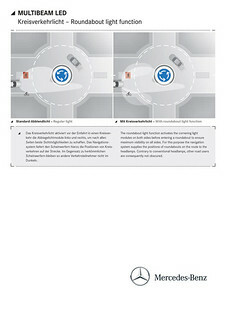 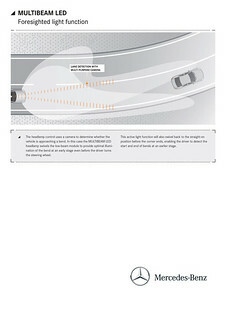 Thus the new Multibeam Led Headlapms open up new dimensions in safety from which other road users can mutually benefit.